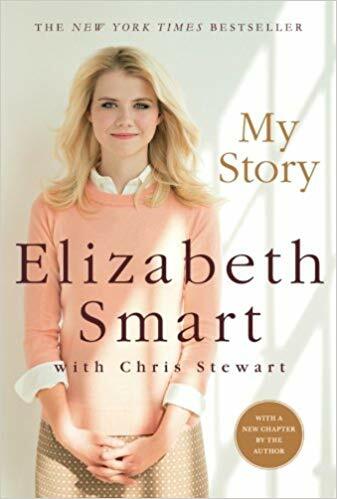 The story of Elizabeth Smart’s abduction at the hands of convicted kidnapper Brian David Mitchell is harrowing. Her book My Story tells her account of these events. In her book, she shares the account of a miracle that is incredible. God was mindful of her and her situation, and in this account Elizabeth demonstrates how this small mercy from the Lord gave her an added resolve to keep living, to keep believing, and to be courageous. All day we sat and cooked in the summer heat. Mitchell checked the water containers once again, but all of them were dry. I had thought that being hungry was difficult, but it was nothing compared to this. Nothing compared to the burning in my throat. Nothing compared to the drive to find something to drink. And I wasn’t alone. Barzee and Mitchell felt it too. I could see it in their eyes. I could hear it in the dryness of their voices. Whatever had driven Mitchell to stay away from the bottom of the canyon must have been very powerful indeed. The day dragged on. Hot. Miserable. Dry desert heat. I was beginning to lose my energy. None of us wanted to eat. I begged Mitchell again to go down and get some water. I begged him to let me off the cable. I offered to carry the containers if he was too tired to carry them himself. I tried to understand why he couldn’t go, but none of it made sense. Evening came. We went to bed. I fell into a restless asleep. I was awakened in the middle of the night. Sitting up, I looked around. The moonlight filtered through the nylon fabric, casting the inside of the tent in a pale, yellow light. Mitchell was asleep beside me. Barzee was lying next to him. Both of them were breathing deeply, Mitchell’s throat rattling with every breath. I looked around in the moonlight. Something had wakened me. Turning, I looked toward the front of the tent. There was a yellow cup sitting beside my pillow. I leaned toward it, checking it in the moonlight. It was filled to the very brim with water. I stared at it a moment, not believing it was real. I reached out to touch it. The cup was cold. I pulled my hand back and looked around. Was I dreaming? Was I crazy? I quickly turned to Mitchell and Barzee. Neither of them had moved. I listened. A gentle breeze blew through the tops of the trees, swaying in the night. I turned back to the water. Slowly, I reached out to touch it once again. It was cold as ice and filled to the top. I picked it up and drank it. The water cooled my throat and filled my stomach. It was cold and clear and wonderful, the best-tasting water that I had ever had. After drinking, I stared at the empty cup for a long time before laying my head back on the ground. Where did the water come from? I have no explanation other than the water came from God. I know we didn’t have a drop of water in the camp. I know that neither Mitchell nor Barzee would have wakened to give me any water, even if they had any left to give. And this water was fresh and cold, like it had just come from the spring. I never told them about the water. I never talked about it at all. But over the next few days, I thought a lot about what had happened. Why did God do it? How did it happen? What was God trying to say? Would I have died without the water? Certainly not. As thirsty as I felt, and as terrible as it was, I was not teetering on the edge of a life-or-death situation. And I was not alone. Mitchell and Barzee needed water too. Mitchell wasn’t going to stay up on the mountain and let us all die of thirst. Eventually he would have had to go down to the stream. So why did God send me the water? This entry was posted in Miracles and tagged Elizabeth Smart, Miracles, The yellow cup. Bookmark the permalink. Thank you for sharing this! What a remarkable story!